Laguna Lang Co locates between Hue and Da Nang cities, which is the entire complex including Banyan Tree and Angsana branded resorts and spas, private villas and premium residences, and an 18-hole championship golf course designed by Sir Nick Faldo. In September 2012, Vuong Luc Ltd. had successfully installed an industrial laundry for Laguna Lang Co, which was assessed as the first and the largest industrial laundry system in the Central of Vietnam, to provide linen, towel washing services for resorts and guests. For more details, it took 8 months from inquiry to official launching. Besides, the actual capacity of the system is around 350kg/hour. However, this number will be doubled in the future. Vuong Luc Ltd. was proud to be chosen as the laundry solutions provider according to our key competitive advantages – the expertise in laundry solutions; the premium after sales service; and the availability of spare part delivery in the fastest way possible. 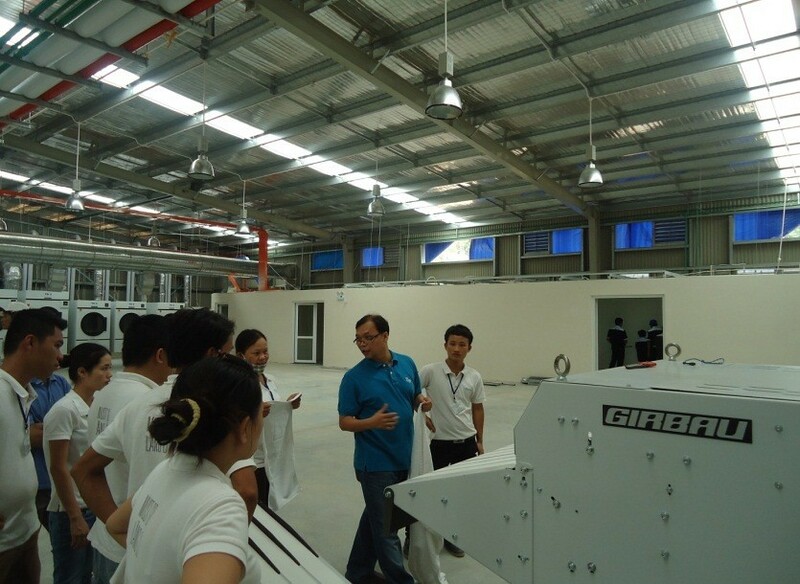 Regarding the investor’s criteria, Girbau machines were selected because of the environmental friendly (Energy saving) and easy to use features. That was also when the first flatwork ironer PC120 and Folder FT Maxi were installed for this project.